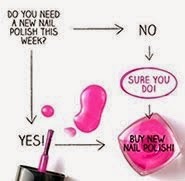 Hello my fellow nail polish lovers! Today I'm sharing with you my take on princess nails. They have a very Disney princess / Power Ranger / Sailor Moon feel to them. I was just going for uber girly when I started but wound up with Princess Nails! I stated out with a light pink color by Sinful Colors named Easy Going then did the tips in a purple by NYC named Lexington Lilac. My accent nail is a textured polish made by Zoya named Tomoko from their Pixie Dust line. The nail studs came from Claire's at the mall. I like these but they seemed soooo young I didn't even wear them out of the house and changed them only a few hours later, It is a design I will keep in mind for any future young clients I might have but not one I will wear again. What do you think? Would you rock these in the real world if you were pushing 30(ish....)? 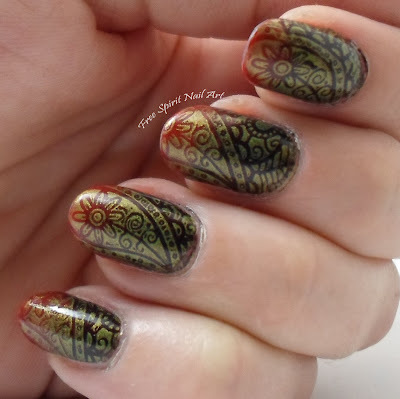 Leave me a comment below and stayed tuned for more nail art!